#1: Without faith, it’s impossible to please God. Without faith, we have no pipeline and therefore do not have access to the grace that enables us to please God. Remember, we cannot please God in our own ability, but only through grace. 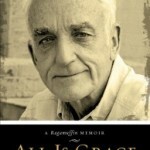 #2: It’s all about Grace. We’ve discovered grace to be more than forgiveness of sins; it’s also God’s empowering presence that gives us the ability to do what truth demands of us. Paul affirmed this by writing, ‘For God is working in you, giving you the desire to obey him and the power to do what pleases Him.’ (Philippians 2:13), and extraordinary living on our part is what brings Him great pleasure. Jesus died for more than just me not going to hell. We talk about this using various terminologies. We call it sanctification, being filled with the Holy Spirit, etc. 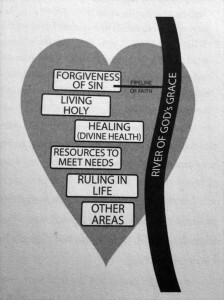 Bevere breaks it down to grace that saves not only from sin, but also for holy living, healing, resources we don’t have access to in order to grow beyond us, ruling in life, and other breakthroughs. We spend a lot of time in the church focusing on just forgiveness of sins. Sometimes we don’t spend much time on what happens after. We don’t talk about what kind of power we have access to through the Holy Spirit to live victoriously now. I wonder why sometimes if that’s why the church, specifically in the US, has a tendency to struggle with depth. Nobody is talking about the Holy Spirit. #4: Live free in mind, body, spirit, soul. Bevere says there are four key pieces of who makes us up and they all are part of us. The body is the part that comes into contact most with the world. The soul is what makes us unique. Our essence. 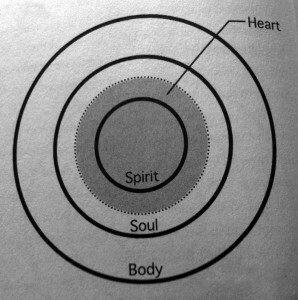 It’s in the middle because we can choose to either follow the spirit or the body (flesh). 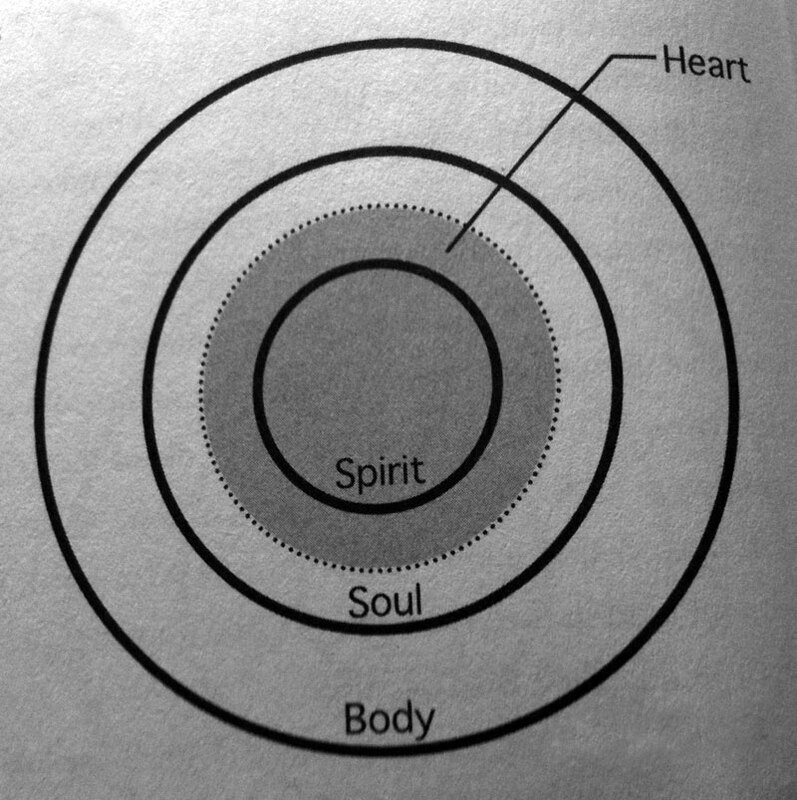 The inner circle is the spirit. The spirit is the “life source of our being”. There’s a lot to digest in this chapter, but Bevere helps us become aware that just like donkey in Shrek, we’re like onions with layers. 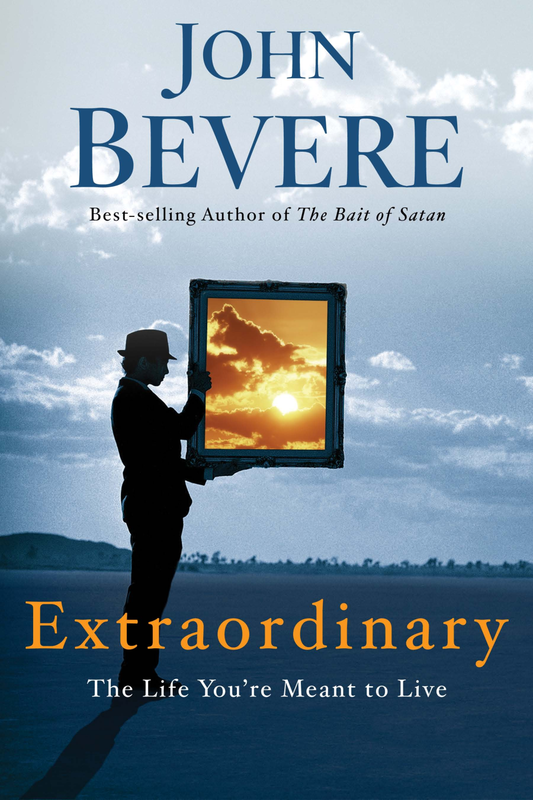 Bevere writes that at the moment the person receives Christ as Lord, their spirit is instantaneously made like Him. (1 John 4:17). Then the process of our sould begins. It becomes transformed by the word of God and our obedience to it. (James 1:19, 21-23). Finally our body receives salvation as we hear, believe and obey. We choose to “set our minds” (Romans 8:5-7). There is much more in the book which I’d highly recommend. One key takeaway from me is the balance. I’ll read something from Francis Chan or Brennan Manning who write from the perspective that it’s all about God’s love toward us and we don’t need to do anything but receive. Then I read Richard Foster or Brother Lawrence who focus on the practice and our “work” to be holy. It can be confusing. Bevere helped me how they both work together. Yes, God does love us no matter what. His grace has no limits. He hits us at the spirit and soul level. The work piece of salvation is in our bodies and souls to respond to that grace by “setting” ourselves to be transformed. The Bible says Jesus “set his face like flint”. We can too. But the difference is we can do it with power that comes from the Holy Spirit. The process of becoming holy is not just about hell. It’s about the here and now. We receive. Then we choose. It’s about victorious, powerful, Spirit-filled living here. A piece unfortunately we sometimes forget while we “do”. Settlers And Pioneers: Which One Are You?